A new study by the WHO has shown that the number of tuberculosis cases per year has nearly halved, but that there is still a lot of work to be done. EURACTIV Germany reports. The study, published on Wednesday (28 October), shows that good progress has been made, but for the world’s deadliest infectious disease to be truly eradicated, billions of euros and innovations are needed. It is evidence of the results of successful development cooperation, in which the number of tuberculosis cases has reduced by 42% since 1990. The death rate fell by 47% to 1.5 million. The World Health Organisation’s (WHO) report claims that since 2000, around 43 million lives have been saved by effective diagnosis and treatment. Dr Mario Raviglione, Director of WHO’s Global TB Programme, said that he was “overwhelmed” by the rapid development in the fight against TB. 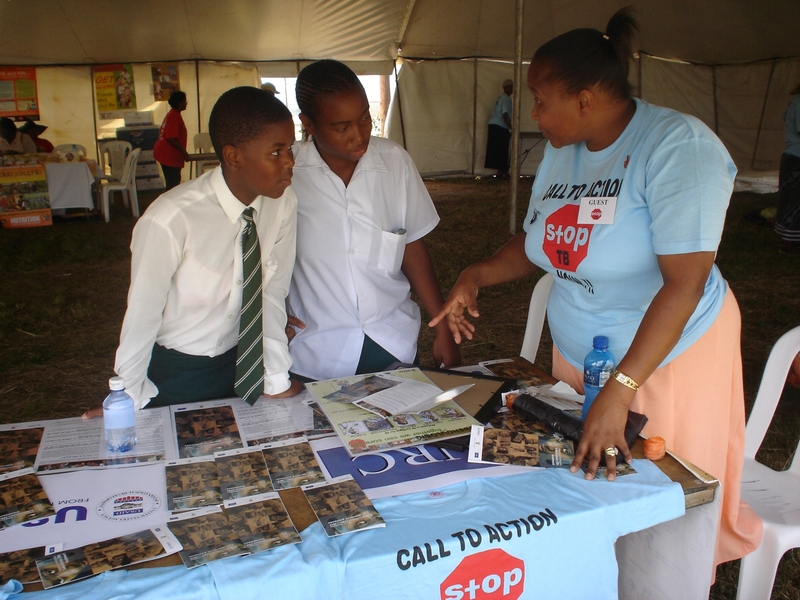 Combatting TB is one of aspects of the Millennium Development Goals (MDGs), which expire at the end of the year. The objective, to bring the epidemic under control, has been achieved in all regions, including in 16 of the 22 most at-risk countries. In 2014, an estimated 9.6 million people were infected with TB, including 5.4 million men, 3.2 million women and 1 million children. The number of new infections is actually higher than last year, but this is due to the fact that there is more data available this year. Despite the success, TB remains the most deadly disease worldwide. Similarly deadly is the HIV virus, which killed 1.2 million people last year. Of these deaths, 400,000 were attributed to TB, as patients with weakened immune systems are particularly susceptible. The international community met in New York last month to adopt the 2030 Agenda of Sustainable Development Goals (SDGs), one of which is the eradication of the disease. The development objective follows on from the “End TB Strategy” which the World Health Assembly (WHA) launched in May 2014.The 2030 target entails a 90% reduction of TB-deaths (compared with 2015) and an 80% reduction in the number of new infections. Dr. Raviglione believes that this goal can only be achieved if the international community fundamentally rethinks the issue. “We must improve information sharing and draw on innovative instruments based on digital technology,” said the WHO expert. Such advanced diagnosis and monitoring tools already exist and he added that using these tools would make TB-treatment more user-friendly, affordable and sustainable. The study concludes that more money is needed to fight the disease. In order to effectively fight TB, $8 billion a year is required, but last year there was a shortfall of around $1.4 billion. “Germany should stand by its international responsibilities and provide significantly more resources to strengthen health systems in developing countries,” said Renate Bähr, managing director of the German Foundation for World Population (DSW). Currently, Germany pays €200 million each year to the Global Fund to Fight AIDS, TB and Malaria (GFATM), making it the third largest contributor to the largest international fund that combats TB. Nevertheless, the DSW said that the German government should increase its donation. Bähr called upon Berlin to “increase funding to the GFATM to at least €400 million a year,” based on Germany’s “economic power”. The GFATM is supported by governments, private companies and civil society. It will meet for a preparatory meeting in Japan in December and its fifth replenishment conference is expected to be held in June 2016. Tuberculosis (TB) is a widespread, infectious disease caused by various strains of mycobacteria. It typically attacks the lungs, but can also affect other parts of the body. It is spread through the air when people who have an active TB infection cough, sneeze, or otherwise transmit respiratory fluids through the air. Most infections do not have symptoms, known as latent tuberculosis. About one in ten latent infections eventually progresses to active disease which, if left untreated, kills more than 50% of those so infected. According to the Robert Koch Institute, there were around 4,318 cases of TB in Germany in 2013, in 2012 this figure was 4,217. In comparison, last year there were over 1 million cases of TB recorded in Indonesia, roughly 40 infected people per 100,000 citizens.